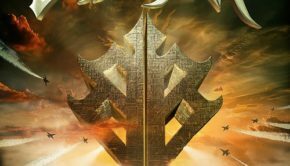 Published on June 25th, 2018 | by Justin G.
British rockers Samson were part of the influential New Wave of British Heavy Metal (NWOBHM) movement at the start of the 1980s (and even featured Iron Maiden’s Bruce Dickinson on vocals for a time), but by the end of the decade Samson’s sound had moved in a more melodic rocking direction. Changes in lineups and changes in musical focus made their mark on Samson’s sound, and if you’re a fan of melodic rock, that wasn’t a negative development. Disc 1: Look To The Future – This material was recorded in 1989, but never saw the light of day. Paul Samson had enlisted vocalist Peter Scallan to replace Nicky Moore (no easy feat, that), and put together an album’s worth of very AOR-sounding material. Think Uriah Heep on Abominog or UFO on Misdemeanor. Sadly, the label thought it was too soft and benched it. 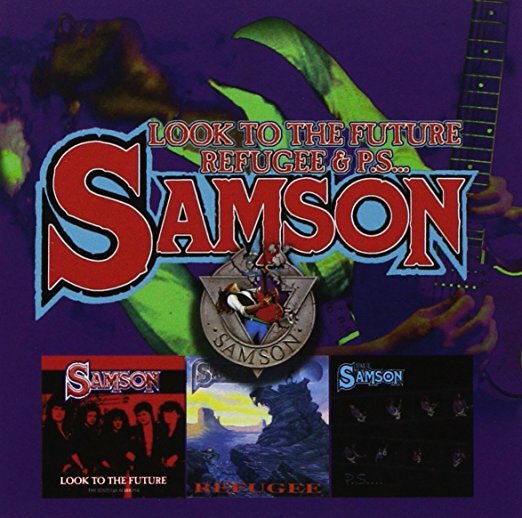 Samson eventually overhauled it for the 1990 album Refugee. The album is released here, newly remastered and with a pair of b-sides from the Burning Emotion collection. Disc 2: Refugee – Originally released in 1990, Refugee was Samson’s sixth studio album. It featured Peter Scallan on vocals, and is essentially a “toughened up” version of the material on Look To The Future. It still fits the melodic rock sound of the late ‘80s, but there’s a bit less polish and a bit more grit to it. More Rainbow than Uriah Heep. Many of the songs carried over though, so it’s interesting to compare the versions. The album itself is really solid, and never quite got its due over the years. HNE presents it here, newly remastered (and sounding fantastic) and with four bonus live tracks from the BBC Friday Rock Show in 1989. Disc 3: P.S. 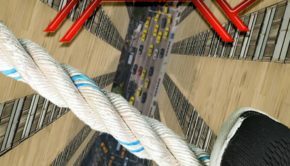 – This 2006 release was actually a Paul Samson solo album, and was released after his untimely passing. It finds Samson paired once again with vocalist Nicky Moore, and the songs were written at varying points from 1990 forward. It’s a rawer, bluesier affair, and kind of a shock after the more polished and melodic Look To The Future and Refugee. It’s much closer to the band’s 1993 album. Still, all Samson is good Samson, and it’s nice to have this album presented here. It too has been remastered, but it sounds rougher than the other two discs in this set. 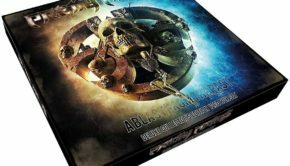 Reissue Notes: Packaging on this set is similar to a lot of recent reissue sets – a clamshell box with each disc in its own thin cardboard sleeve. 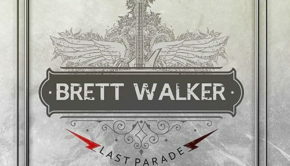 There is one thick booklet covering all of the material, and it’s a Rock Candy-caliber booklet loaded with band history and vintage photos. Individual jewel cases in a sturdy box would have been preferable, but this minimalist packaging makes the set more affordable. 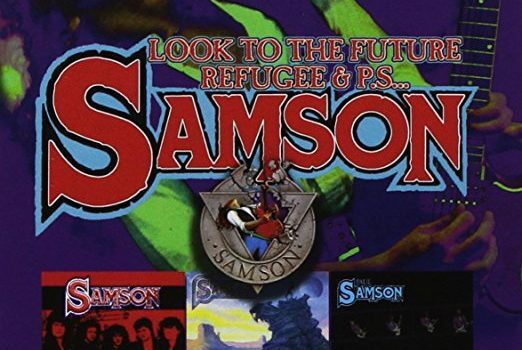 For Samson fans and collectors who missed these albums the first time around, Look To The Future, Refugee & P.S. is a very welcome arrival, giving us a much-improved version of Refugee and some fascinating extra material for a reasonable price. It’s also a great set for people whose Samson knowledge begins and ends with the Bruce Dickinson albums. This band still had a lot to offer, and could have been a major player in the melodic rock scene if the stars had aligned better for them. Samson: Look To The Future, Refugee & PS (Hear No Evil/Cherry Red) Justin G.
Summary: This is a great way to complete the Samson discography.